After 7 years of talking about it, 240 other things that took priority, the fact that it’s only Colin and I that use it, renovating the ensuite has always been in the back burner. I nicknamed the ensuite the public toilet though it’s been a long time since I’ve been in public toilets that look this bad. The toilet itself has rust on the bottom that makes it continuously look like it’s never been flushed, the shower surround has been damaged and no matter how many litres of Cillit bang that I use the grout is continuously mouldy looking. Now that we are 100% sure that we are staying here, we have stopped viewing 2 houses per week and I have wrote a list of priorities for the house. These priorities are things that I am happy to spend the money on as we need this house to work for us. There is far too many things that we love about this house and that has held us back from going for others. Also so many needed a huge amount of work to suit our taste and right now with our own jobs along with the girls being so young, we aren’t ready to invest every spare minute or penny earned into a house. What we wanted from another house we could adapt in our own. The things we love is the location, downstairs layout and size and garden. 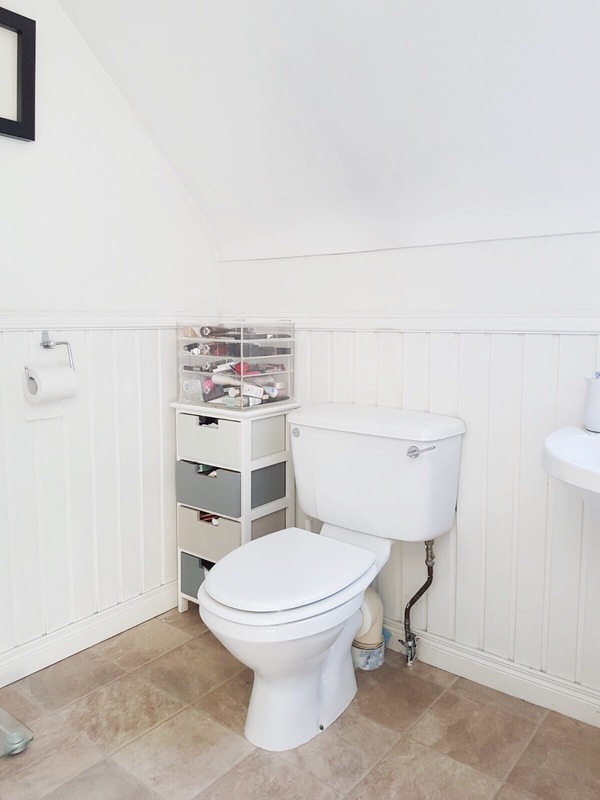 We have already put a lot of work into the house to suit our own taste but the lack of space and storage upstairs is the biggest frustration, also I’d love another room but that’s not happening at the minute. Huge clearout to own less and have more room. There is still a lot of work in the list above but as things continue to be ticked off I have already fallen back in love with our home again. So now the workmen are booked for mid November it’s time to get ordering the ensuite bathroom, tiles and bath. 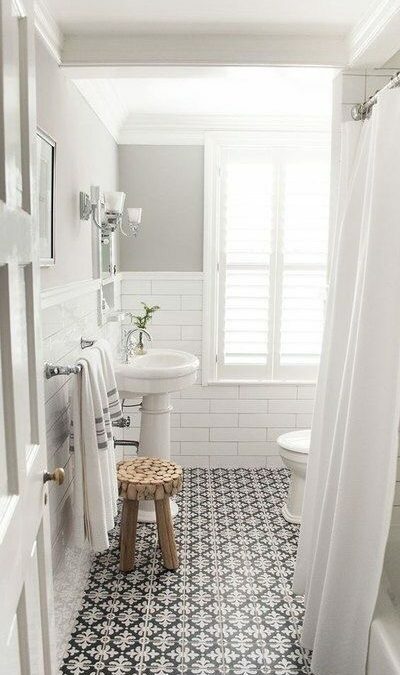 Here is my ensuite inspiration with a little bathroom inspiration thrown in too. I know I want to play with some dark colours, have a ‘restored’ looking unit with basin on top (without doing the restoring) and some pattern in the form of tiles or accessories.